The teaching format involves on-campus classes that stimulate students' participation as well as individual tutorials in order to make the relationship with teachers more personal. Students must carry out a personal piece of coursework, tutored by teaching staff. 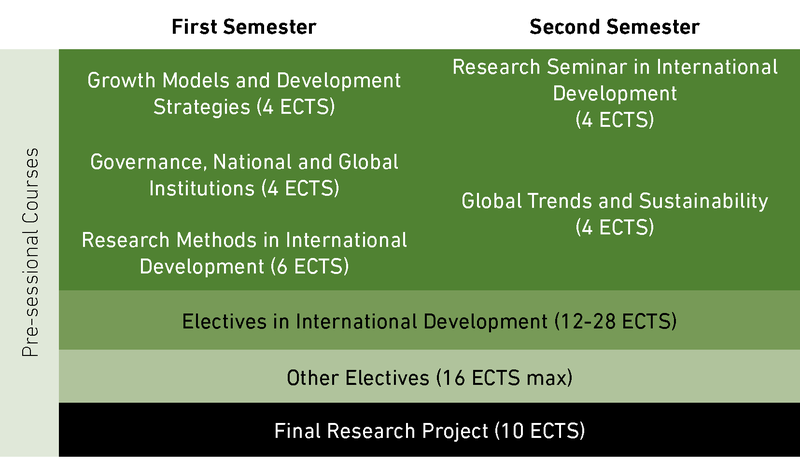 The course syllabus presents an innovative structure, stimulating continuous learning, with highly-qualified IBEI teaching staff as well as associate faculty from the three universities that jointly offer the degree, the Universitat Autònoma de Barcelona, the Universitat de Barcelona and the Universitat Pompeu Fabra, as well as to other major international academic institutions. Furthermore and with regard to these subjects, periodically throughout the year, the institute hosts conferences and seminars which are open to Master's students and lecturers. Specifically, there will be seminars with prominent professionals and politicians in the international sphere, allowing them to transmit their experience. There are also conferences, debates and presentations of recent research from scholars of national and international importance. Here you can access the documents related to the master.